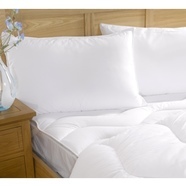 Anti-allergy bedding that loves to be washed! 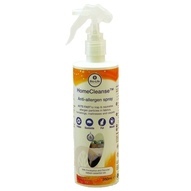 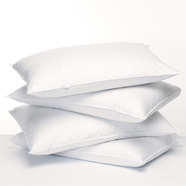 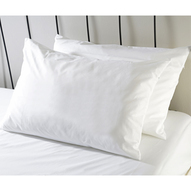 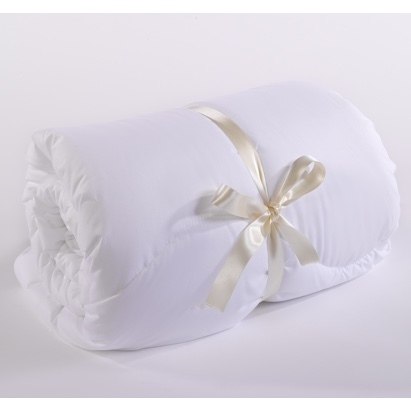 You can keep your duvets completely free of dustmites and their allergen if you can wash them repeatedly at 60°. But most of them won't fit in your machine or go lumpy when washed. 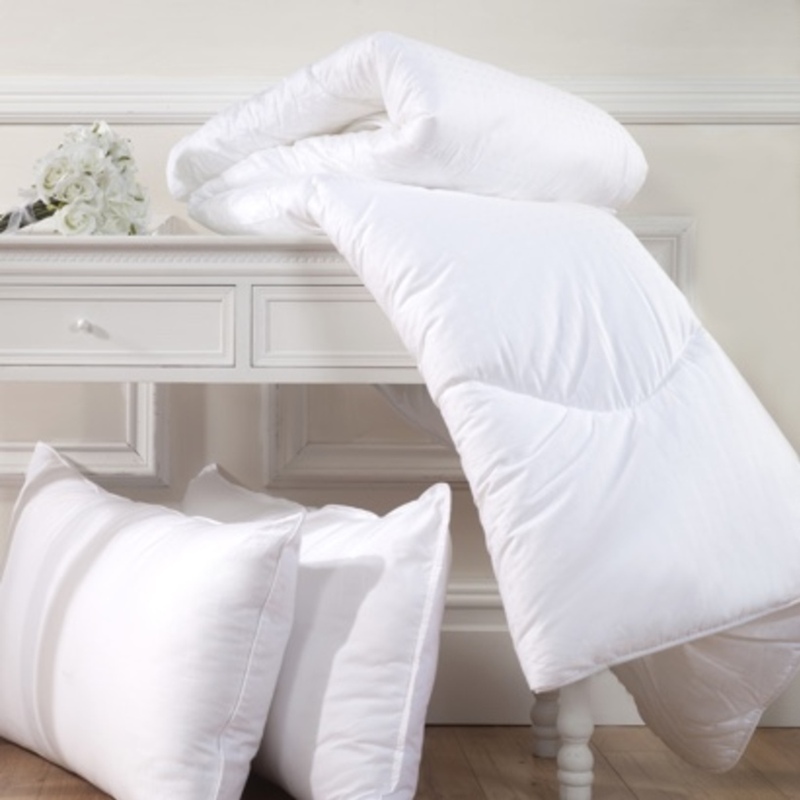 Now The Fine Bedding Company have created these amazing Spundown Duvets which will fit into any home washing machine and can be washed 50 times without losing shape or comfort. 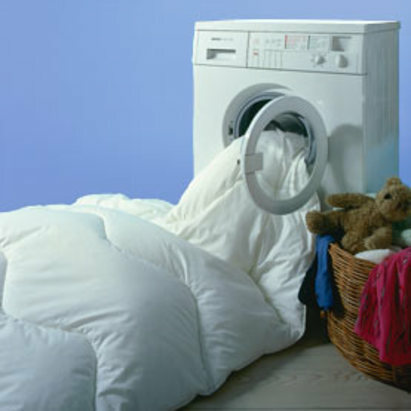 So that means no more trips to the launderette or expensive laundry bills! Spundown Anti-Allergy Duvets have a stain-resistant microfibre cover that dries really quickly so you don't even have to use the tumble dryer to have them back on the bed the same day. 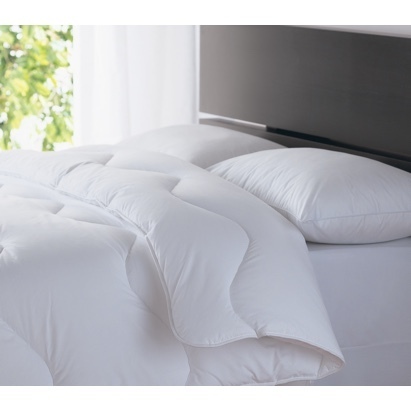 They are beautifully finished with swirl stitch quilting and "sonic seamed" edges to keep dustmites at bay..
Spundown Duvets are filled with highly compressible superfine fibre balls so they can be washed at home, tumble-dried and be back on the bed, plump and fresh, the same day.